Moist woods, especially with tamarack (and poison sumac); marshes, fens, and wet (rarely dry) prairies; swampy streamside thickets and shores. 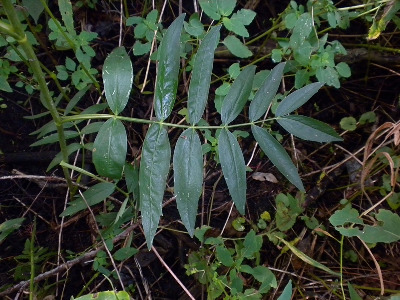 The foliage and tuberous roots are reputed to be poisonous to cattle. Plants with entire leaflets are easily recognized. Those with toothed leaflets are sometimes confused with Sium suave, which is more finely and densely toothed and has a corrugated stem. The stem in Oxypolis is terete (but striate). MICHIGAN FLORA ONLINE. A. A. Reznicek, E. G. Voss, & B. S. Walters. February 2011. University of Michigan. Web. 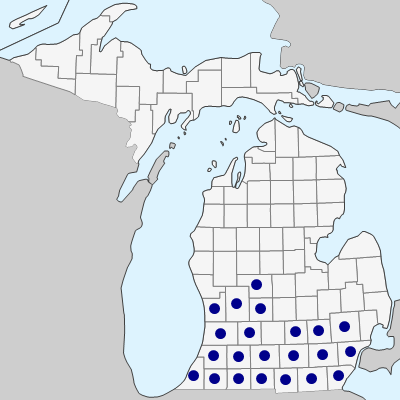 April 26, 2019. https://michiganflora.net/species.aspx?id=133.